The People’s United Party previously held five seats and following Wednesday’s election, now claims a total of twenty-six, including eleven in Belize City. The United Democratic Party’s shocking loss here in the Old Capital may not so much an indictment of the previous Darrell Bradley city council, as it is perhaps a failure to maintain a presence in constituencies where they lost during the 2015 general elections. 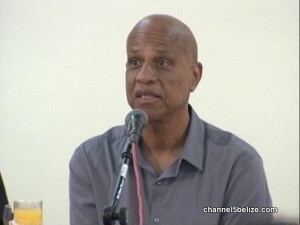 Since losing in areas including Lake Independence, Caribbean Shores and Fort George, the party has not made inroads in those constituencies which, according to party leader Dean Barrow, was their downfall. Dean Barrow, Party Leader, U.D.P.